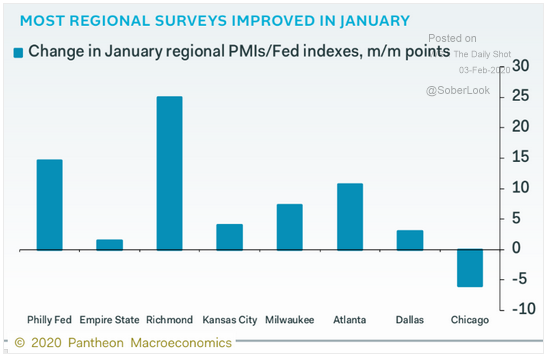 The Patriots prevailed last night, so we begin our Monday chart blog with more good news! 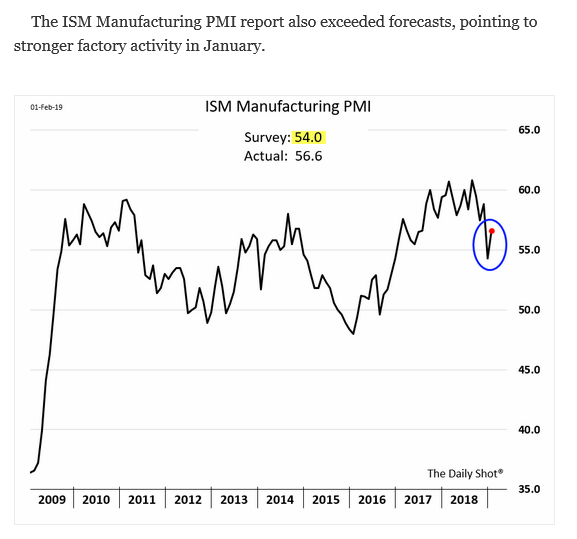 The ISM Manufacturing PMI report exceeded forecasts and showed U.S. manufacturing increased in January. 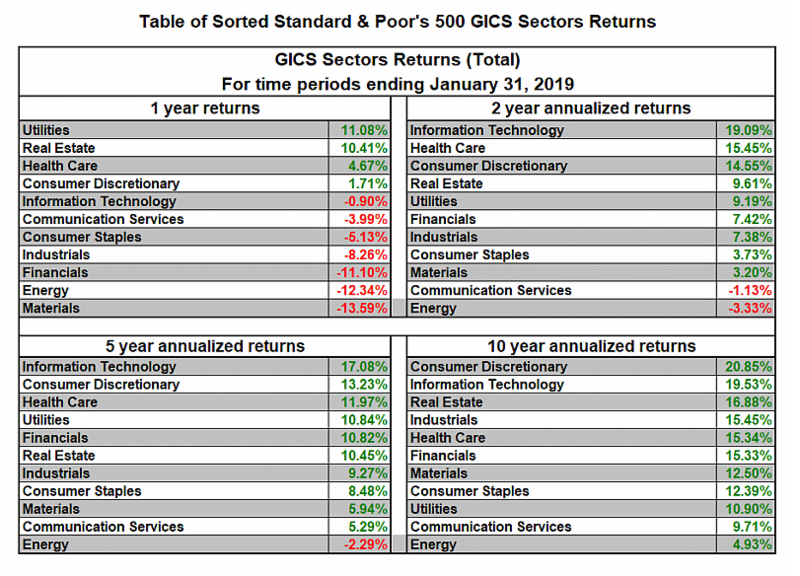 A table on sector returns through the end of last month gives us a pulse-check on the winners (think Utilities) and losers (such as Energy) of the S&P sectors. 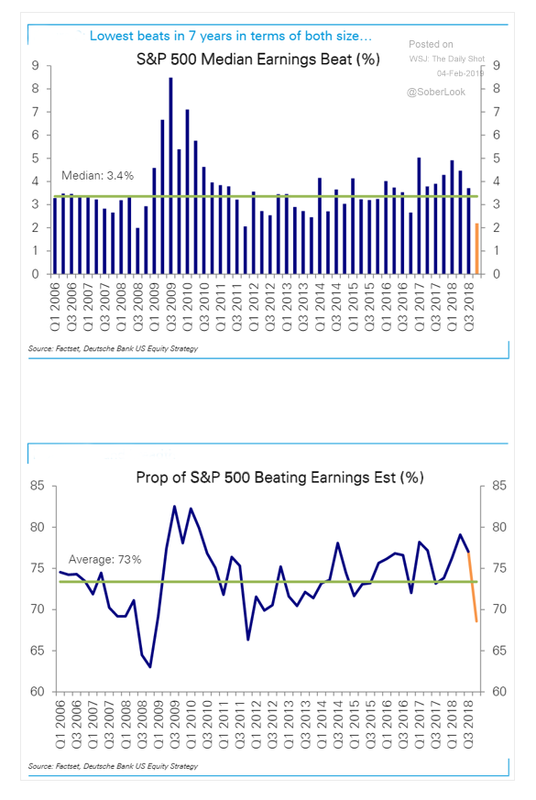 In spite of the recent rally in equities, S&P earnings have been more modest. Crude oil is struggling compared to last year's highs. Finally, our nation's credit rating is AA with a debt of nearly $22 trillion. How does this compare to other global nations? 3. 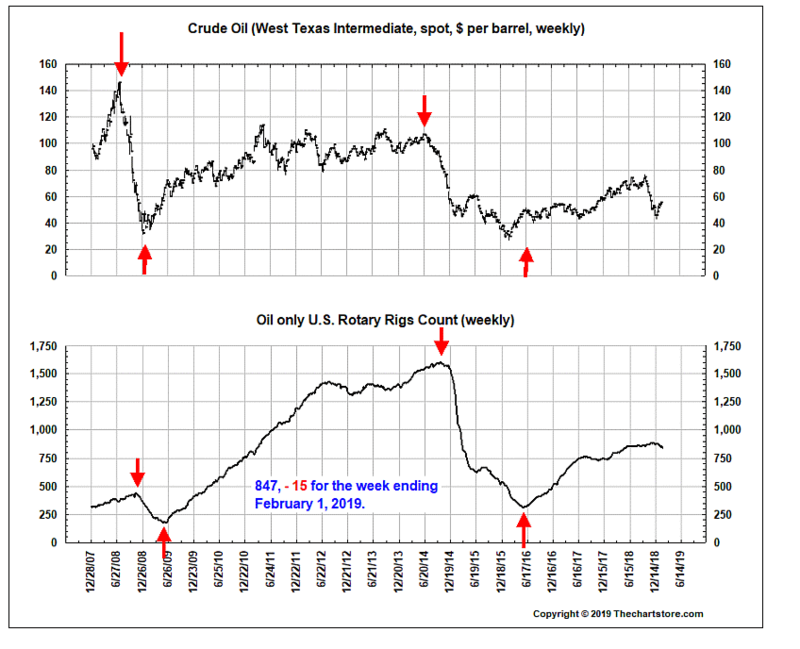 Despite a 21% surge so far in 2019, oil is still way off last year's highs and thus rigs are coming off-line. 4. A thought- provoking question in this chart! Did we just have an exception? 4. Despite the rally, earnings have actually been more modest than in the recent past. 6. 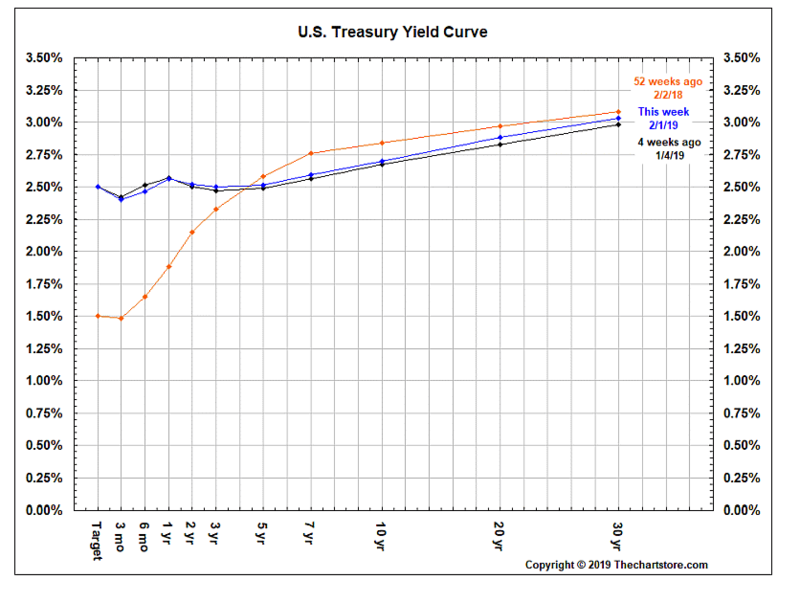 The yield curve has quietly re-inverted from 1-7 years. 7. 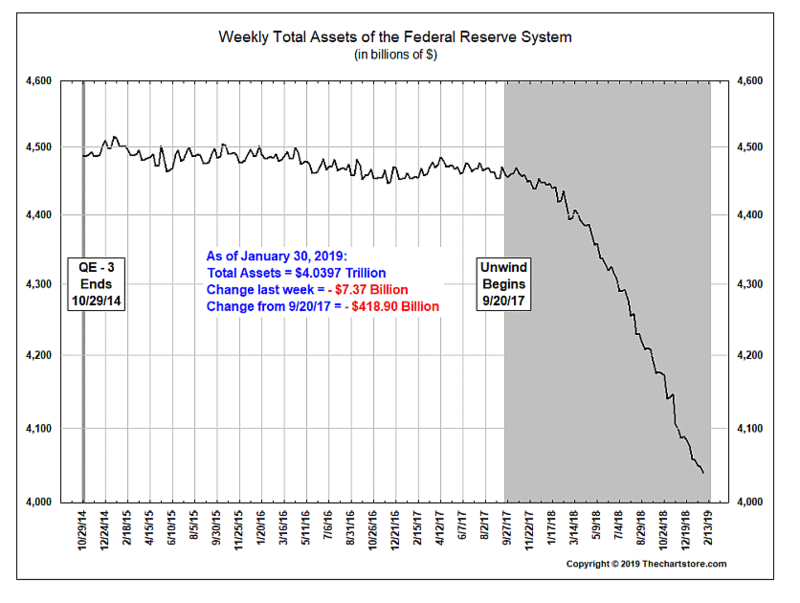 Despite recent talk at the FED of slowing or stopping QE reversal, so far it is full steam ahead! Many of the charts featured today are backward looking economic charts. 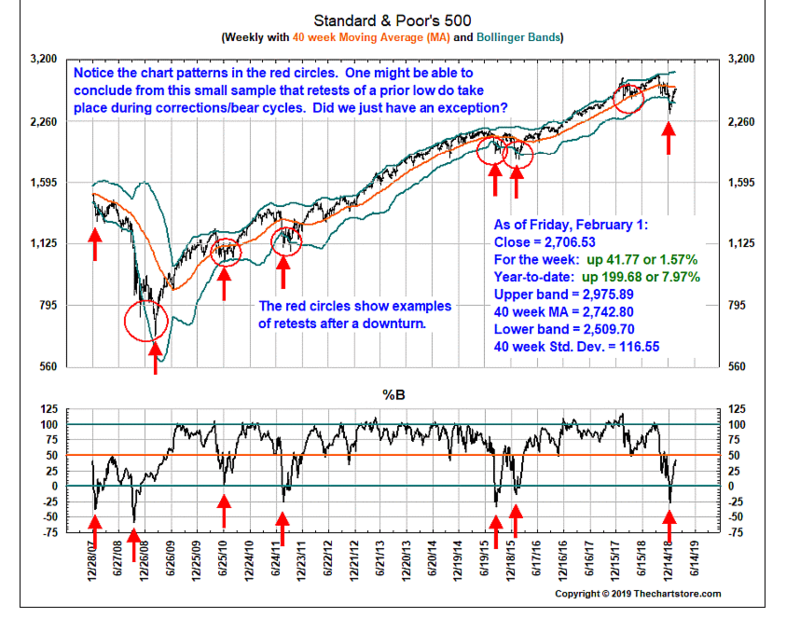 In Chart #4, we analyze Friday's close for the markets and the most recent downturns. Did you see the rest of what we had to offer in our last blog? Catch up if you missed us!